Nicole Taylor Smith, 18, a lifelong resident of Middletown, passed away Monday, November 26th, as a result of a car accident in Woodbidge. 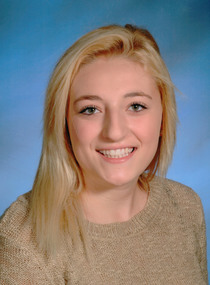 Nicole was born in Long Branch, on May 5, 2000, a daughter of the late Christine Medvar and Michael Smith. She graduated Middletown High School North this past June. She was a Middletown Pop Warner Cheerleader for many years and traveled all over for cheer competitions. In her spare time she enjoyed hanging out with her friends, shopping, listening to music and rapping to songs. Nicole was predeceased by both her parents and was living with her Maternal grandparents, Francis and Linda Medvar. She is also survived by her Paternal Grandparents Ron and Dot Smith and her brother Michael Smith. Nicole also leaves behind her uncles Frank Medvar and his wife Desiree, Shawn Medvar, Keith Smith and his wife Arlene, Ron Smith and his companion Nancy and her Aunt Laurene Smith along with many cousins, extended family members and friends. Friends and relatives may pay their respects Saturday from 3-6 pm at Scott & Kedz Home for Funerals, 153 Church St., Belford. Funeral Service will conclude the evening. A private cremation will follow.